FAYETTEVILLE – 219 Group was recently recognized by Graphic Design USA for multiple achievements in 2015. 219 Group was chosen out of 10,000 entries to receive three Certificate of Excellence for Graphic Design Awards in the areas of branding, brand identity and print design. For 50 years, Graphic Design USA has sponsored competitions that highlight areas of excellence for creative professionals. GDUSA’s American Graphic Design Awards is the original and leader in this category. The competition is open to all in the community: design firms, ad agencies, corporations, non-profits, institutions, and more. GDUSA recognizes all achievements of work across all platforms of media. 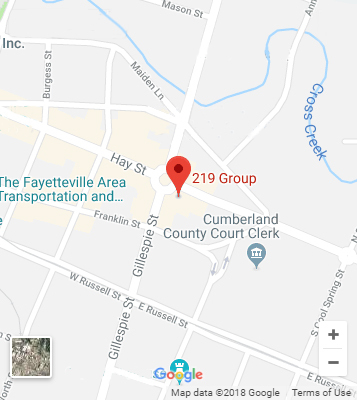 219 Group is a veteran-owned marketing and advertising agency offering a full suite of marketing services to help clients of all sizes, budgets, and types achieve their desired results. Services include brand development, digital services, graphic design, social media marketing, analytics, lead generation, media services, and public relations. More information about 219 Group and their services can be found on their site at www.219group.com.